Giovanni Lorenzo’s story is the kind you wish you’d hear more often in Italy. From the country’s south, he enrolled in chemistry at university, but he did it half-heartedly. 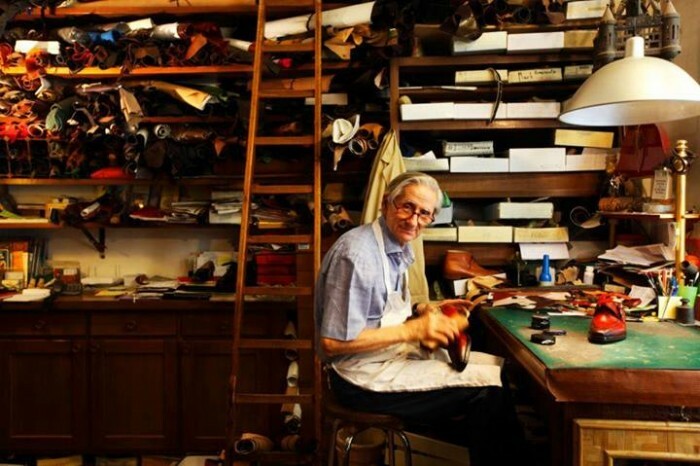 Not even one year in, he realized that he wanted to learn a trade – and although he had no artistic ability nor any specific training, he finds himself now, 5 years later, at the helm of one of the most famous bespoke shoemakers in Florence. And business is good. It all comes down to Calogero Mannina, who opened his bottega, Mannina Firenze, just steps from the Ponte Vecchio 60 years ago. From 1953, he measured the feet of VIPs, tourists and locals with picky feet, creating the precise lasts upon which he and his “boys” would build perfectly fitting, excellent quality shoes. He became famous in Japan, where he held some exhibitions in the 70s and 80s, building up a solid clientele. Sadly, Calogero died suddenly in September 2014. You can tell that the moment is still fresh in Giovanni’s mind as he speaks sadly of losing his mentor just three years into his training. He and two other young people who were the apprentices at that time got together with Antonio to discuss if they felt able to continue the legacy. The answer was certainly yes, although Giovanni points out with great modesty that they work as a team, and that they are still learning. Each has his or her own area of specialty, and the team takes on student apprentices from local schools over the course of the year, but the historic bottega, just two small rooms, cannot fit more than the four of them working at any one time. Giovanni is the front man, he deals with clients, measures their feet and takes in their desires, and then he transfers his drawings and notes onto the customized last, building up areas for peoples’ bunions and digging out others for supportive arches. It’s hard but satisfying work. 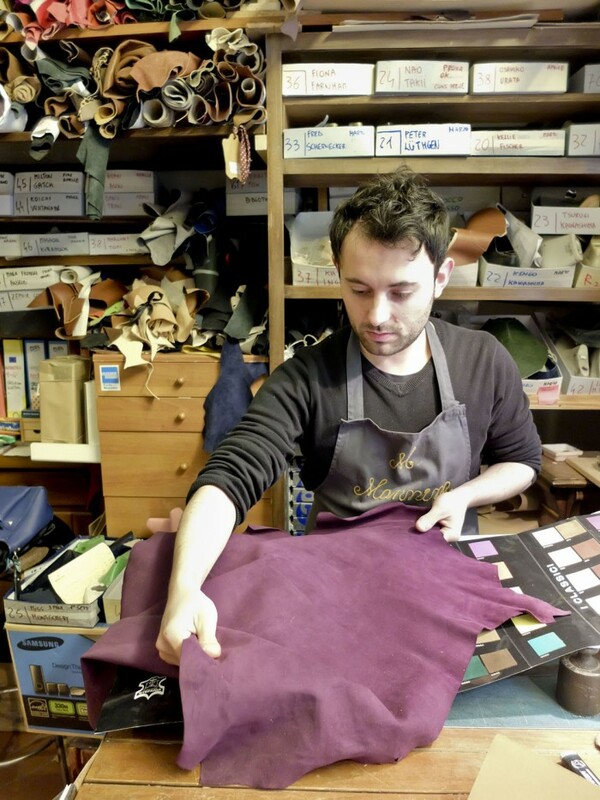 He walks me through the following phases – adding a base to the last, cutting, sewing and adding the top, sewing together the base and top, and then the sole, often with two layers of hand stitching. 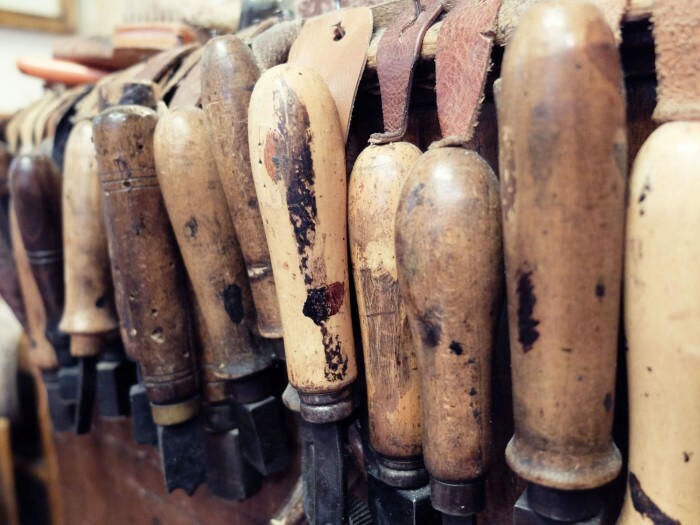 Mannina makes about 140 or 150 new lasts every year – in the first three months of 2016 they have had 50 new clients, which is a high number considering the size of the workshop and compared to some other artisans in town. 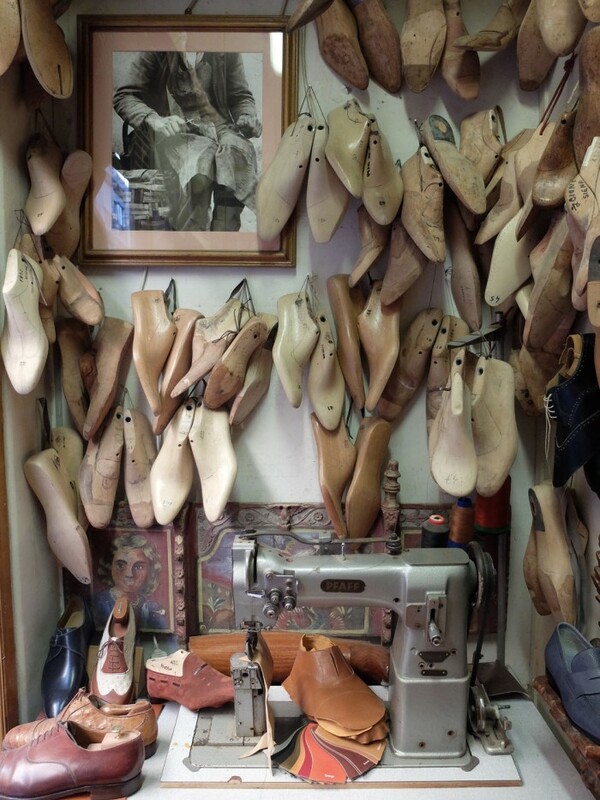 Giovanni calculates that they make 7 pairs of shoes per week working as a team of three people, though there are some models that take longer (there are models that take four days just to sew). You can easily wait four months to get a pair of shoes here, but he’ll make sure they are just right. Business is good, they work long hours and they can hardly take on more work than they have. 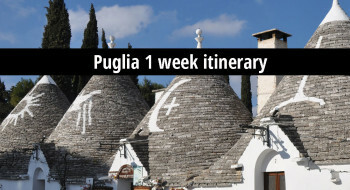 That said, there are challenges, like unexpected costs for broken machinery or to update the workshop to meet modern safety laws that would give them access to funding and apprentices (they have opted not to do this, in part for the cost, in part out of respect for the historic location, which you can tell is exactly as Calogero left it). 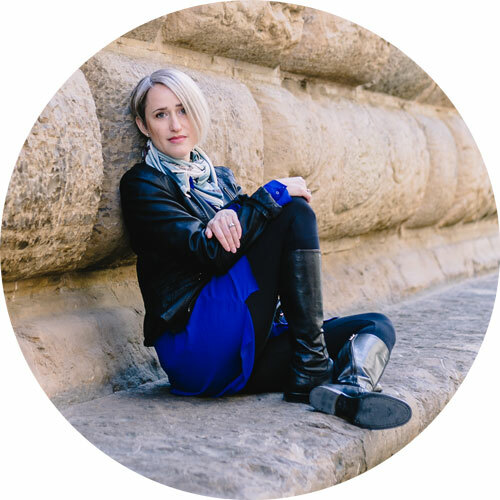 I was surprised to learn that Mannina’s clients are not just luxury lovers. 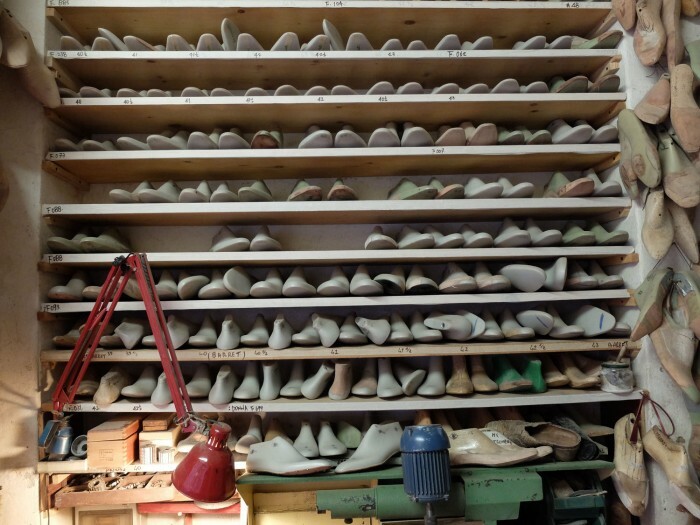 There are three main kinds of people who order custom shoes: those who want something original and made to order, those who focus on great quality, and those that have difficult feet. 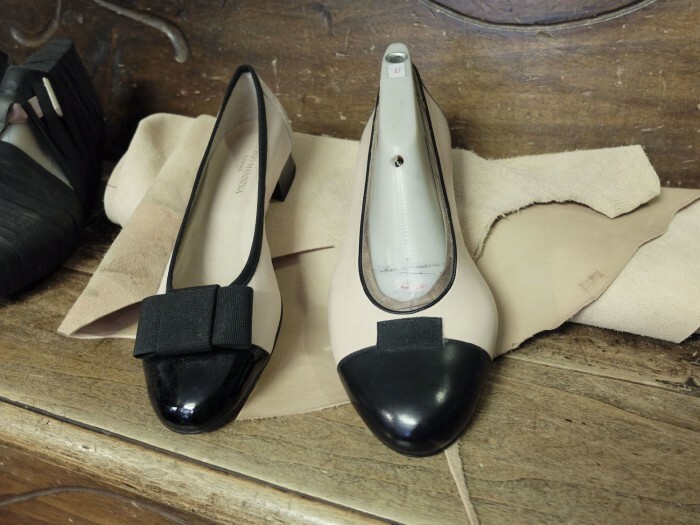 Mannina creates both men’s and women’s shoes, though 80% are for men, and the starting price is €700 including the last, which remains filed away for your next pair. 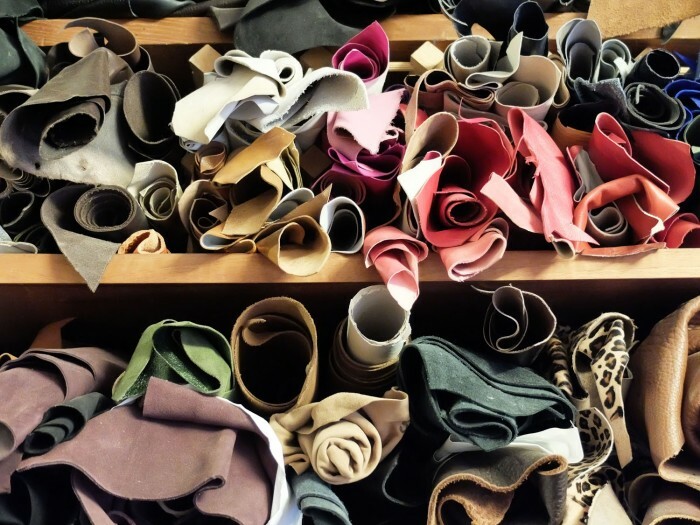 Japanese and American are the main client nationalities, but also a solid number of Florentines who still appreciate the quality of this historic bottega’s craft. Giovanni shows me the delicate ballerinas of a lady with particularly wide feet who was unable to find anything to fit her properly; the light-weight but elegant boots of a man who works standing up and needs extra support; the bedroom slippers of an elderly woman with one leg longer than the other. All of these issues are dealt with in the most delicate manner. 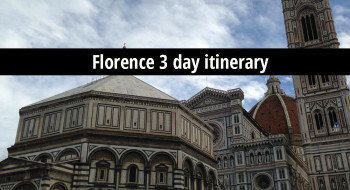 Giovanni represents a new generation of artisans in Florence, and he’s one who has been lucky enough to be welcomed into a family business and trained by a man who saw his potential. Training and generational replacement are two huge problems for the aging artisan class, and of course these things are necessary to continue the tradition for which this city is famous. This is something that the Context Foundation for Sustainable Travel has been working on addressing with an annual scholarship given to an aspiring artisan. The Apprenticeship Program for Oltrarno Artisans of Florence partners with a jewelry school called Le Arti Orafe; Context funds a 600 hour course and 100 hours of practical training for a talented young person, kick-starting their career in the hopes that they might enter a bottega like Giovanni has, but without being a financial burden during their training phase. 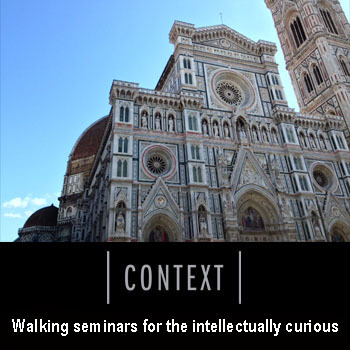 Context Travel focuses on the Oltrarno area of Florence, famous for its high concentration of traditional artisans, in a preservation effort that also includes spreading the word, through articles like this and also through in-person visits (though they also offer a walk dedicated to artisans near the Duomo). 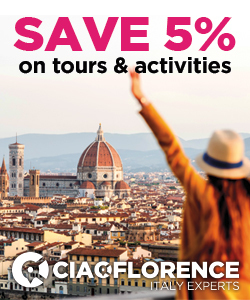 The Made in Florence: Oltrarno Artisans walk includes visits to botteghe like Mannina, so you can talk to artisans and understand the art behind their craft as well as some of the challenges they face. 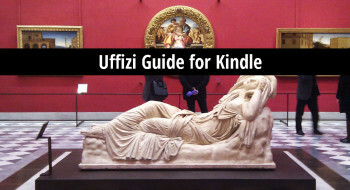 At the start of the walk, the docent (usually Luca, who was instrumental in setting up the apprenticeship program) finds out your interests and will take you to artisans in his little black book according to what you might like best. Context’s docents act as translators and mediators in these visits in which you get valuable face-time with these people who are full of knowledge and experience; time that they generously give because they believe in communicating their past in the hopes of preserving these traditions for the future. 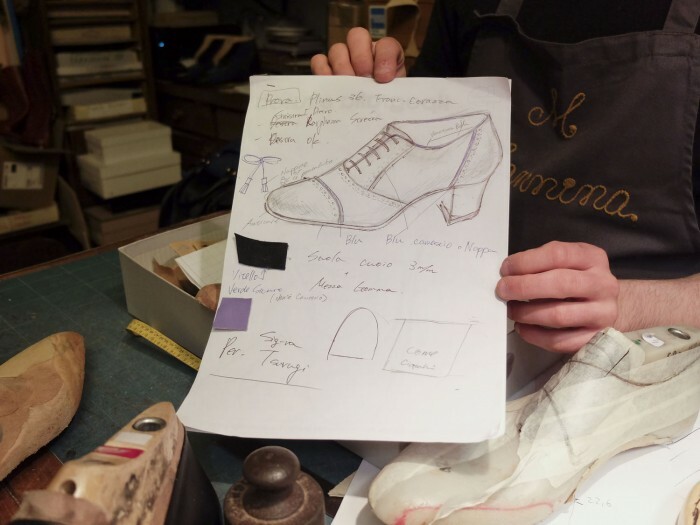 With sincere thanks to Giovanni Lorenzo of Mannina Firenze – visit their store at Via Guicciardini 16r or the workshop at Via de’ Barbadori 19r. 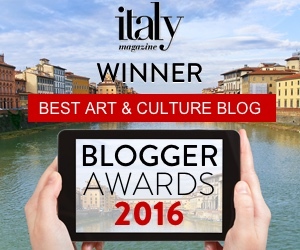 And thanks to Context Travel for putting me in touch with Mannina to set up this interview.